Garston Community Church is located in Watford, Hertfordshire. We are a relative small, friendly group of Christians, experiencing the presence of God in our meetings, and longing for that to increase. As a community of believers we are seeking to serve and evangelise our local community. We welcome all who come to us and offer them fellowship and loving support as God enables us to do. Our dependence is upon God for direction and ability to do His work in Garston, Watford, England and abroad. We long for revival in our town of Watford and support the many Watford- wide ministries as part of the one church of Christ in the town. (see christiansacrosswatford.org). Our Sunday morning meeting starts at 10.30am, but we are open for refreshments from 10am and we warmly welcome you to come in and meet us and share with us in worship. 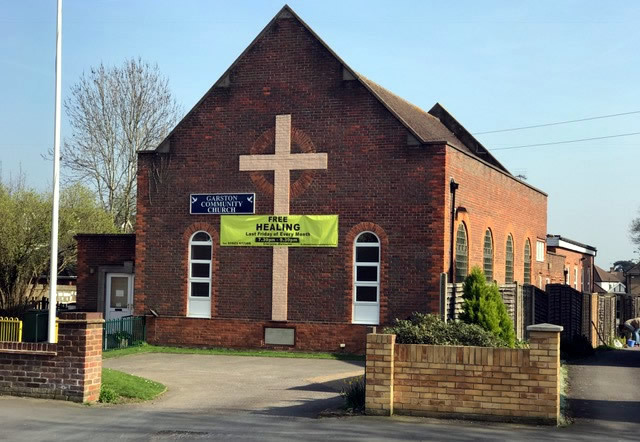 More information about our church is contained in other pages in this website; please don’t hesitate to phone us or use our contact page for information or if you have personal needs, such as for healing. We will gladly come and pray for you if that is appropriate.